We will only store and use this personal information to get back in touch with you. We do not share, distribute or lease this data. I understand and consent. You may contact me by telephone, post or email with regard to my query. I don’t mind my details being used for marketing purposes. 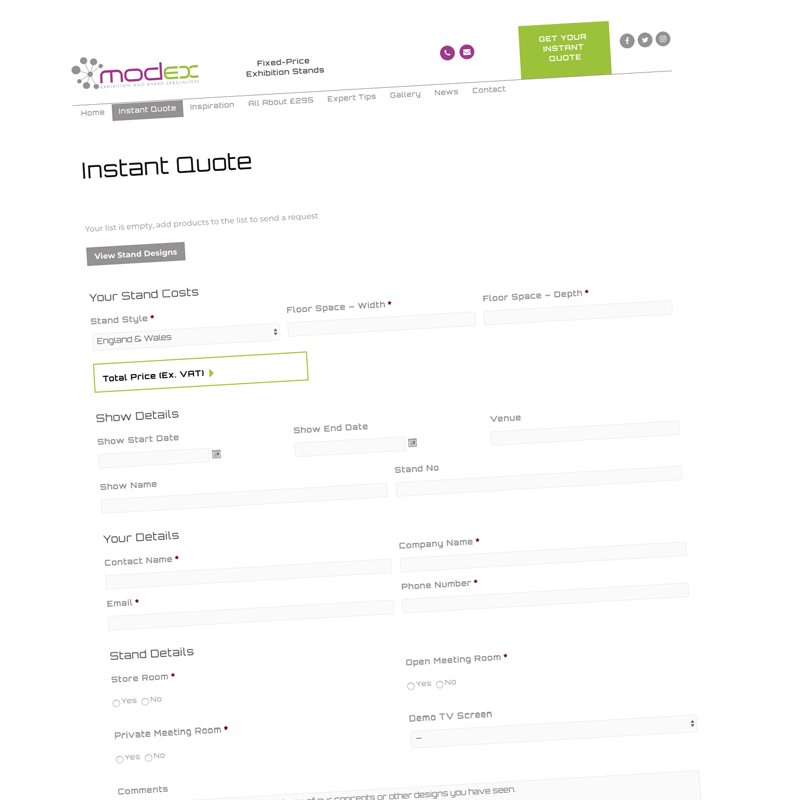 Let Modex take the hassle out of planning your next trade show – get your fixed price exhibition stand quote now. Fill in the form above. 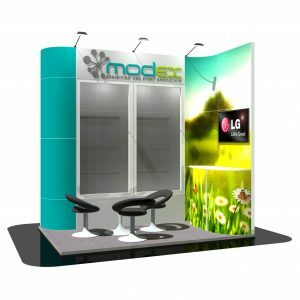 ©2019 MODEX Exhibitions UK Ltd. The GDPR is designed to help all of us have more control over our personal data, and how is it used. In our continued commitment to ensuring that your information is secure and to prevent unauthorised access or disclosure, we have suitable physical, electronic and managerial procedures in place to safeguard and secure the information we collect online. We have procedures including 2FA, passwords, restricted access and other security features in place to keep your data secure once we receive it. MODEX Ltd will NEVER pass on your personal data to third parties without first getting your explicit consent. If you believe that any information we are holding on you is incorrect or incomplete, please write to, or email us as soon as possible at Estelle Hope: [email protected] We will promptly correct any information. We have implemented IP anonymization, so when a customer of Analytics requests IP address anonymization, Analytics anonymizes the address as soon as technically feasible at the earliest possible stage of the collection network. The last octet of IPv4 user IP addresses and the last 80 bits of IPv6 addresses are set to zeros in memory shortly after being sent to the Analytics Collection Network. The full IP address is never written to disk in this case. These cookies are not necessary for the basic functioning of this site, however de-activating them may reduce your user experience.